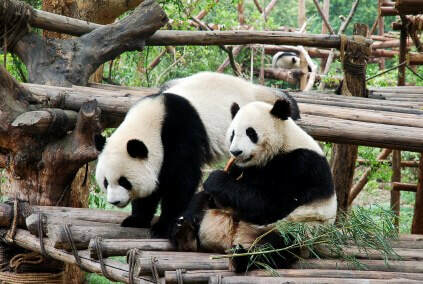 3 Day Chengdu Tour including the main highlights of Chengdu! 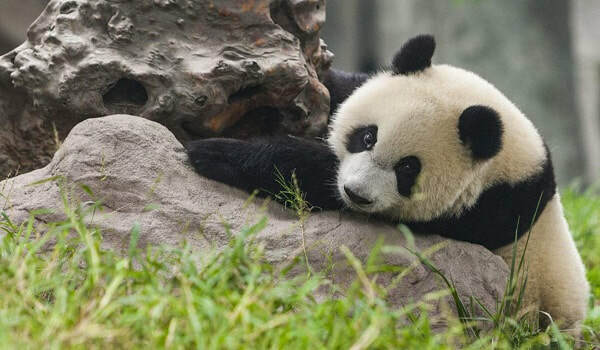 ​Join our team for this popular 3 Day Chengdu Tour including a day visiting the Panda Research Base, a day at the Leshan Big Buddha and a day at Mount Qingcheng. Perfect for visitors who want to experience a 'classic' Chengdu itinerary and only have 3 days in the area to do so! If you're lucky, you'll have the chance to see babies from as young as 1 month old to 3 years old, adult pandas as well as the red pandas. Within the Chengdu Panda Research Base , there's also a scenic bamboo garden as well as Swan Lake, which are nice stopovers. You'll depart from the Panda Base at approximately 11:30 am. 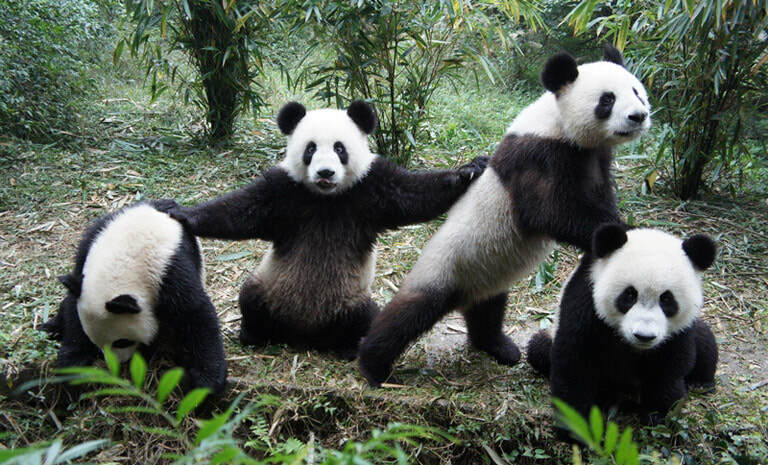 Following the visit to the Chengdu Panda Base, you'll arrive back into Chengdu City in the early afternoon. Thereafter, you'll experience a Chengdu City Tour by visiting some of the City's most famous attractions. The afternoon tour will commence with a visit to People's Park (人民公园), which is a local park very popular among local Chengdu citizens. It's a great place to stopover and people -watch! ​After People's Park, the next attraction is Wenshu Temple (文殊院), which is the best preserved buddhist temple within Chengdu. This will be followed with a visit to Jinli Pedestrian Street (锦里古街) - Chengdu Cit's walking street, before being transferred to your hotel for an evening at leisure. For the second day, you'll also meet your guide and driver at 8:00 am at your Chengdu Hotel Lobby. 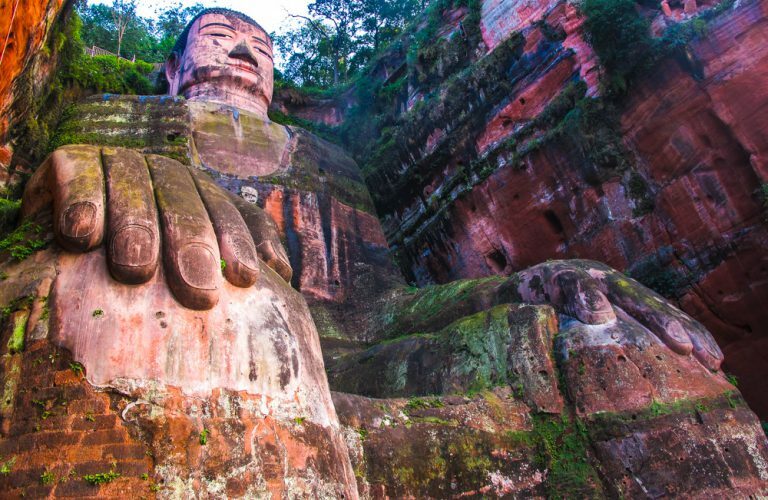 After meeting, you'll be transferred to the famous Leshan Giant Buddha (乐山大佛). From Chengdu City to Leshan, it takes approximately 2 x hours to get there. Within the tour, we propose (and recommend) visitors to see the Leshan Giant Buddha from boat as opposed to walking up. The reason we propose the visit to the Leshan Giant Buddha via boat is because the pathways walking up to the Buddha can become extremely busy with substantial queues common but we can accommodate if you'd prefer to walk. This attraction is one of Chengdu (and Sichuan Province's) symbols and is a must-see during your visit to Chengdu. ​After spending some time at the Leshan Big Buddha, in the afternoon, we'll travel from Leshan to Huanglongxi Old Town. 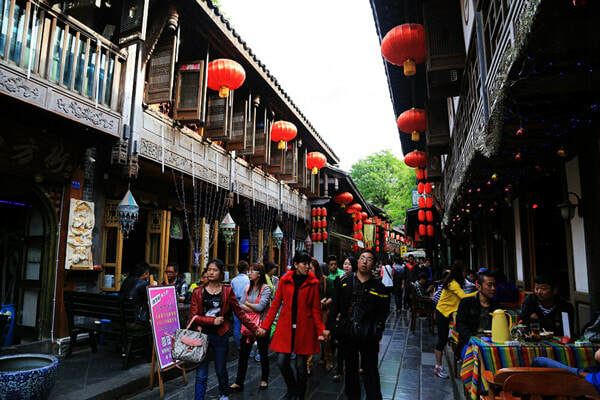 This old town is one of Chengdu's most famous attractions. Huanglonxi Old Town (黄龙溪) was originally built over 1,700 years ago and is considered Chengdu's best 'ancient town' to visit. Huanglongxi, is located on the banks of the Minjiang River (岷江) and the afternoon will be spent exploring the old town, walking its streets and admiring its traditional buildings. In the late afternoon/early evening, you'll return to Chengdu City with a transfer to your Chengdu Hotel. The evening is at leisure. This morning, like the previous two mornings, you'll also meet your guide and driver at 8:00 am at your hotel lobby for this full day tour visiting the Dujiangyan Irrigation System as well as Mount Qingcheng. 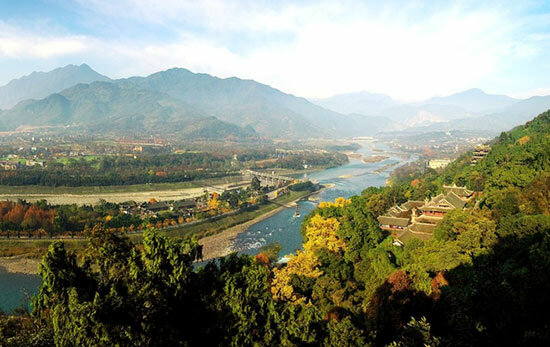 To begin the day, you'll be transferred to the Dujiangyan Irrigation System, which takes approximately 1.5 x hours. Upon arriving, you'll explore the park and be amazed at the history behind it - this irrigation system was first developed over 2,000 years ago! The Dujiangyan Irrigation System has a few different things to do where visitors can walk around the dam, hike the nearby hill and admire the incredible engineering making it the oldest working irrigation system in the world! 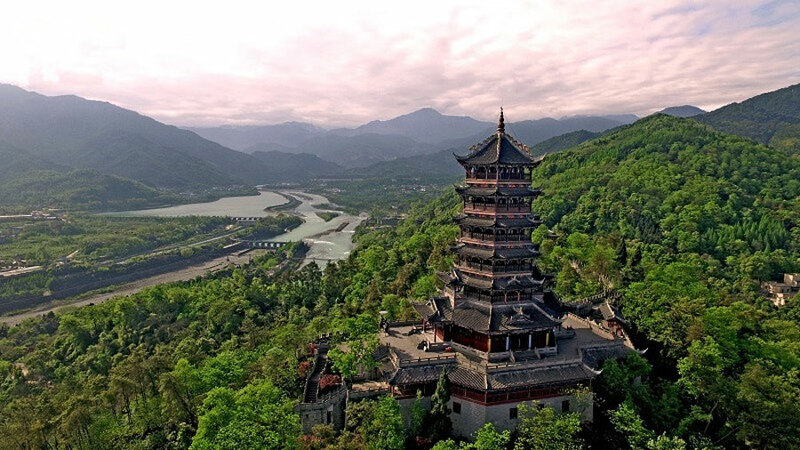 Following your visit to the Dujiangyan Irrigation System, you'll be transferred directly to what's considered to be the birthplace of Taoism - Mount Qingcheng. After arriving at Mount Qing, at approxmately 1:00 pm, you'll commence your walk up the Mountain. 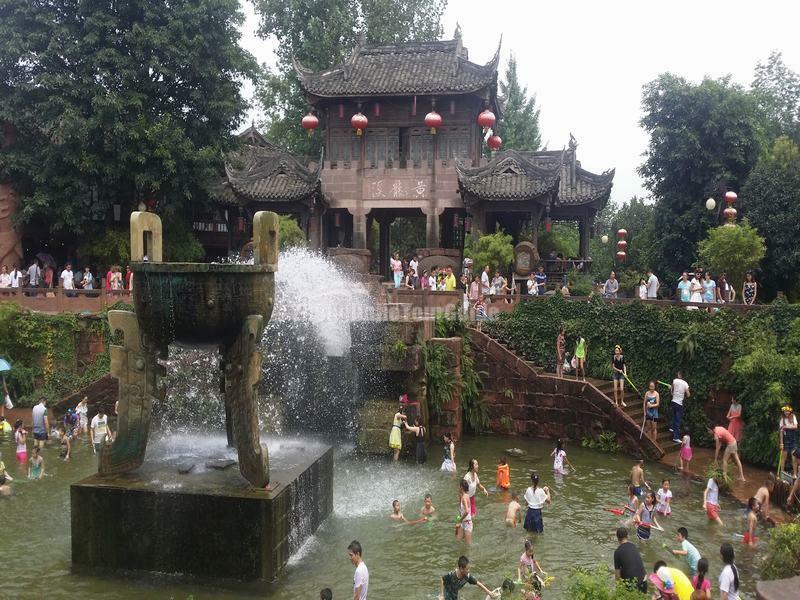 Along the way you'll learn interesting facts and some history of Taoism from your guide, appreciate the stunning natural beauty and visit several Taoist temples . The peak of Mount Qingcheng offers incredible scenic views overlooking the surrounding area, Dujiang Irrigation System and Himalaya Mountains! 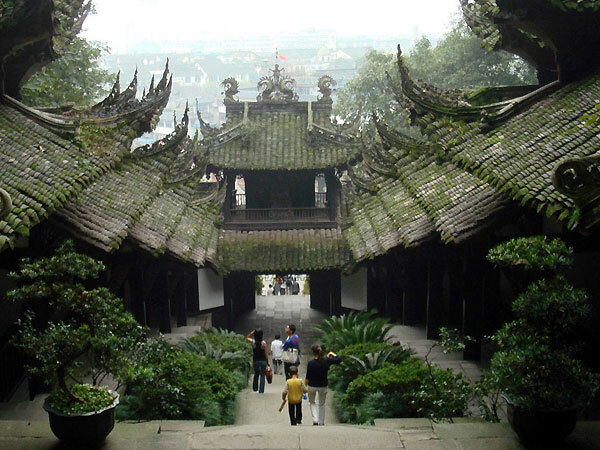 Thereafter, return transfer to your hotel in Chengdu to conclude your tour. END OF TOUR.